For those dual booting between OS X Mountain Lion and OS X Lion, or any other two versions of OS X for that matter, there comes a time when you inevitably want to remove one of the operating systems. For this walkthrough we’ll assume the boot partition you want to delete is one of the developer previews of OS X Mountain Lion but it could be any other OS X boot volume as well. 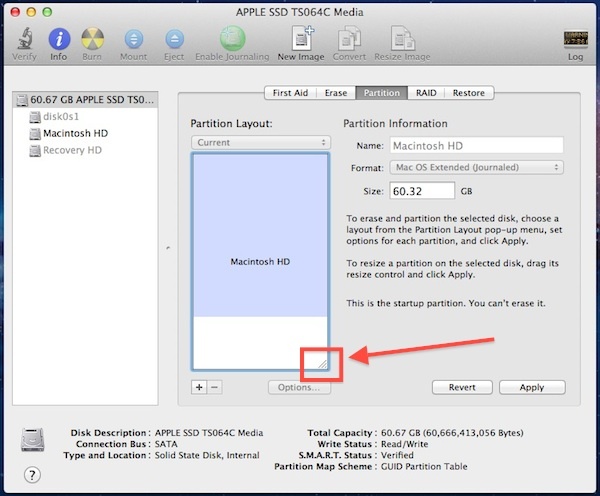 It would be a wise idea to backup your Mac before proceeding, you will be editing the partition map of the drive and there is always a possibility something could go wrong. 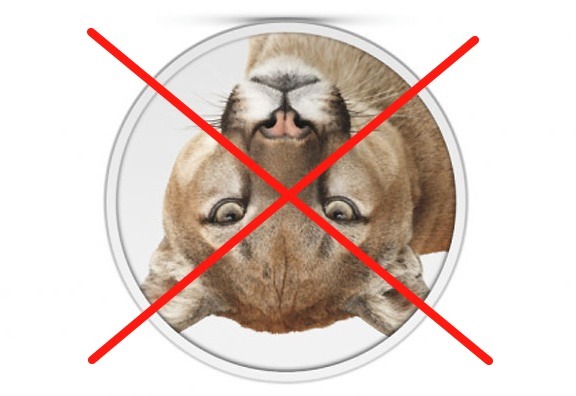 When Mac OS X reboots the partition space that used to be allocated to OS X Mountain Lion will now be allocated back to the primary operating system, OS X Lion. 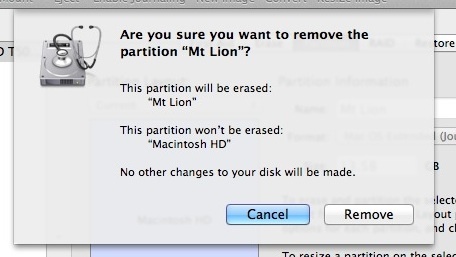 Dos this remove mountain lion recovery hd too? Yes , but if not you can select it in Disk Utility and delete manually. Over this explication I can install Snow Leopard with DVD or SD card on this machines (imac, macbook pro). Did you tried to install? Thank you. Does this work if you installed ML on other HD. In my case i have tow HDD in my mac, first one have the OSx Lion which is the main OS, the second one have to partitions one for boot camp and other is free, i installed ML on the free partition, Now i would like to remove ML and its Recovery, but not sure how to proceed? Hi guys, my wife has a macbook air with osx (Sierra) and windows 10, she wants to remove osx completely and keep windows 10. Can you advise how to delete?